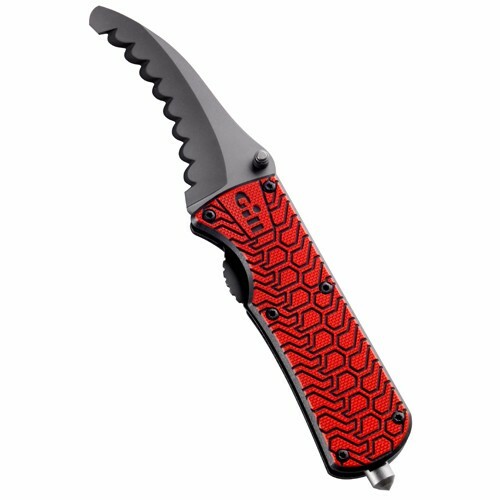 Be prepared for any situation with this personal rescue folding knife, compact and easy to open with one hand. The handle has been carefully designed to ensure a firm grip whether your hands are wet or dry so you can react quickly and diffuse any problem. Once opened, the blade can be locked into place and will cut through rope quickly and easily. An essential part of any sailor’s wardrobe, simply connect to your belt for peace of mind every time you sail.